San Diego, California – February 1, 2017. Key Housing, a top-rated corporate housing service for the San Diego area offering so-called serviced apartments, is proud to announce they have selected their February, 2017, featured apartment complex, the ‘Valentia,’ located at 5305 Toscana Way, San Diego, California, 92122. Each month, Key Housing identifies one property each in Northern and Southern California as a ‘featured property’ to showcase to interested customers a truly incredible short-term rental in the Golden State. To browse the Valentia of San Diego, visit http://www.keyhousing.com/rightside.asp?action=form3&ID=548. 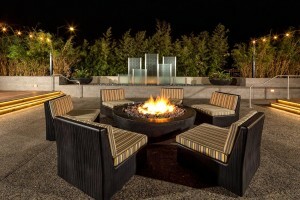 To browse all short term corporate housing listings in San Diego visit, http://www.keyhousing.com/rightside.asp?location=san%20diego. It should be advised that the term ‘serviced apartment’ is commonly used by Europeans, whereas Americans and Canadians use the term ‘furnished apartment.’ Finally, to browse an incredible archive of posts on San Diego short term, corporate, and serviced apartments visit http://blog.keyhousing.com/tag/san-diego-corporate-apartments/. The Valentia apartments feature newly remodeled interiors, and huge floor plans. Enjoy fine dining at restaurants perched atop La Jolla’s jagged cliffs. Shop at the Design District, a four-block stretch along Girard Avenue. Visit boutique-lined streets, browse art and gift shops, or spend the day at the Stephen Birch Aquarium & Museum. Indulge in the soft sand beaches, with year-round vacation sunshine and the Pacific Ocean’s watercolor sunsets. From the village to the cove, La Jolla truly is the jewel of Southern California, and the Valentia, one of the gems of the city. Isolated coves, world class golf, incredible dining and shopping – this is paradise. This collection of condominium style apartments offers a lifestyle to match La Jolla: chic, versatile and so convenient. Availabilities for corporate renters cannot be guaranteed; however, Key Housing has many other available opportunities in the hot La Jolla and San Diego area rental market. Interested parties are recommended to either use the website, or contact Key Housing directly for personal assistance with their San Diego temporary housing needs.